German Chancellor Angela Merkel is scheduled to host Spanish leader Mariano Rajoy on Monday, ahead of this year’s first EU leaders’ summit later in the week. 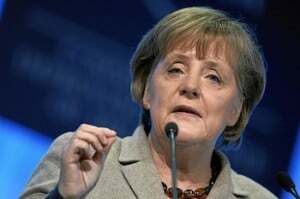 Merkel, who met with Italian Prime Minister Mario Monti last week, is expected to also meet with French President Francois Hollande before the summit. President Hollande, hosts US Vice President Joe Biden in Paris for talks on Monday, likely to be focused significantly on the mission in Mali, as well as the conflict in Syria. This follows talks between Biden and Russian Foreign Minister on Saturday at the Munich Security Conference. Biden’s next and final stop is London, where similar issues are likely to come up. 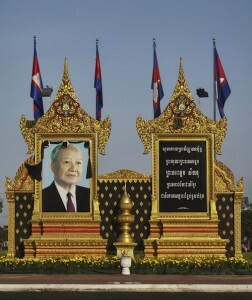 In Cambodia, King Father Norodom Sihanouk, who died in October, is due to be cremated at a ceremony in Phnom Penh. Europol, meanwhile, is scheduled to hold a press conference in the Netherlands to announce the results of its investigation into football match fixing. Finally, there is talk of a three-way summit between Prime Minister David Cameron, Afghan President Hamid Karzai and Pakistani President Asif Ali Zardari in London (confirmation pending). On Tuesday, EU ministers are due to meet in Brussels to discuss the training mission to Mali, which could become operational as early as 12 February, according to its head Brigadier General Francois Lecointre. 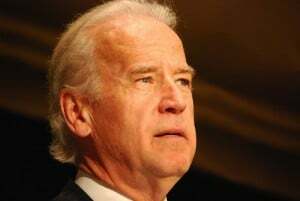 Joe Biden, as mentioned earlier, is due to visit London where he will holds talks with Prime Minister David Cameron and Deputy Prime Minister Nick Clegg. 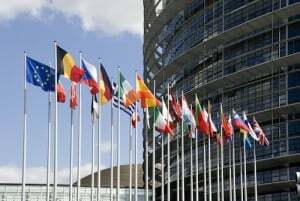 Finally, French President Francois Hollande, is scheduled to address a plenary session of the European Parliament in Strasbourg. UK Foreign Secretary William Hague will be grilled on Britain’s relationship with the EU by MPs on Wednesday, when he appears before the Foreign Affairs Committee. Hague’s cabinet colleague George Osborne, meanwhile, will join OECD Secretary General Angel Gurría at the launch of the OECD’s economic survey of the UK. Finally, German Chancellor Angela Merkel is expected in Paris to meet French leader Francois Hollande. The anticipated travel comes as the two nations’ football teams square up in a friendly match, which they may attend. 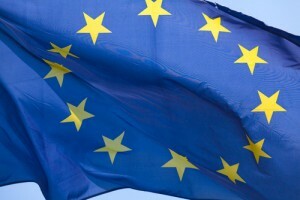 European leaders will descend upon Brussels on Thursday and Friday for the first summit of the year. It will be UK Prime Minister David Cameron’s first summit since his big Europe speech, so expect much parsing of body language as he meets with his counterparts. Leaders traditionally hold briefings for the media at the conclusion of summits. In the US, President Barack Obama’s nominee to lead the CIA, John Brennan, will be grilled in an open session of the Senate Intelligence Committee to consider his nomination. Republicans will no doubt focus on the 11 September attack on the US consulate in Benghazi, Tripoli. While Democrats are more likely to be interested in drone attacks and extrajudicial killings (which, incidentally, are the subject of a UN inquiry launched last month). Incoming Bank of England Governor Mark Carney will appear on Thursday before the UK Treasury Select Committee. The Canadian central banker has already been making waves ahead of his arrival, with provocative policy suggestions and expensive housing requirements. Finally, European Central Bank President Mario Draghi will address the media following the conclusion of the bank’s monetary policy meeting in Frankfurt. On Friday Samuel Mullet, the delightfully-named leader of an Ohio Amish group found guilty last year of federal hate crimes after cutting off the beards of a rival group, is due to be sentenced alongside his co-defendants. Also Friday, German Foreign Minister Guido Westerwelle will be discussing prospects for growth in Europe at an event in Singapore. Rival Palestinian factions Hamas and Fatah are said to be planning to hold a further round of reconciliation talks in Cairo.